Look for Exit B of the Line #5 subway station, then follow directions below. 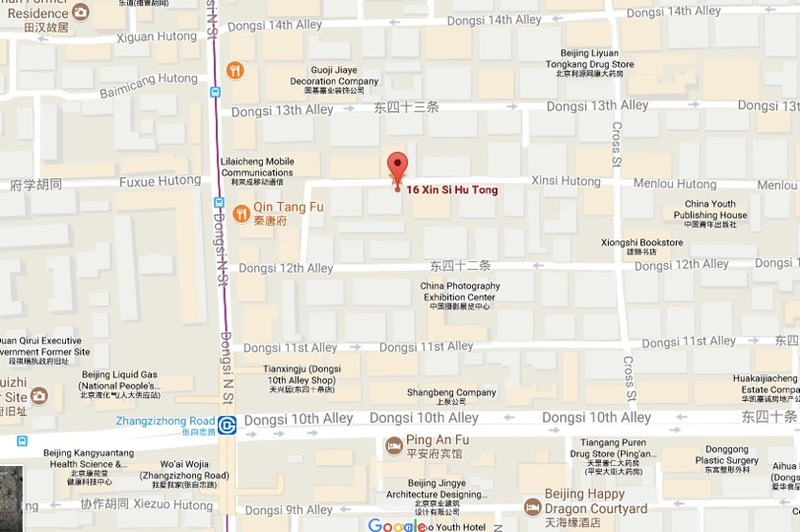 Get out at exit B, turn right and walk north along Dong Si Bei Da Jie for 10 meters, then turn right at the second hutong, Dong Si Shi Er (Donsi 12 Street). Walk into the hutong for 80 meters then turn on the first left to XinSiHutong. Look for the signs for Lucky Family Hostel, you’ll go north for 15 meters then the alley will turn right, walk another 20 meters. The address is #16 and is just a few meters before the hanging red lanterns of the Lucky Family Hostel.